We cordially invite you to send your Cub Scouts for the North Area Sixers’ Training Course which will be held from 2 to 4 June 2017. The aim of the course is to develop and ensure a standardized and uniformed training system for Sixers so as to uphold the Six System as the basic information of Scouting. 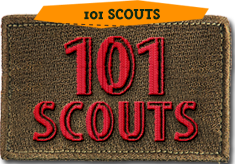 During the camp, Cub Scouts will be able to learn about the Role of a Sixer, Scouting knowledge and skills to pass some of the test requirements for their Progress Badges. All participating Packs’ teachers or adult leaders are kindly requested to facilitate an activity during the camp and bring tents for their Cub Scouts’ accommodation. Throughout the camp, each Pack should have two teachers or adult leaders present as one of them will be the facilitator. Female Cub Scouts will need to be accompanied by a female leader who will be required to stay overnight. Please be reminded that there will be No Refund for any withdrawal. Replacements may be allowed due to unforeseen circumstances. · Registration is based on a first-come-first-served basis. 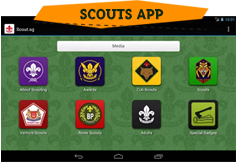 · Registration to be done through Scout Membership Portal. · For confirmation of participation, full payment of the North Area Sixers’ Training Course fees must be paid together with the submission of the original Group Registration Form on or before the closing date. Please address all cheques to ‘The Singapore Scout Association’ and write ‘North Area Sixers’ Training Course’ at the back of the cheque. · Kindly assist to complete the Personal Particulars Form provided and email to dominic_heng_zhaocheng@moe.edu.sg on or before the closing date. We seek your cooperation and understanding in submitting the registration on time as late submission will not be entertained.